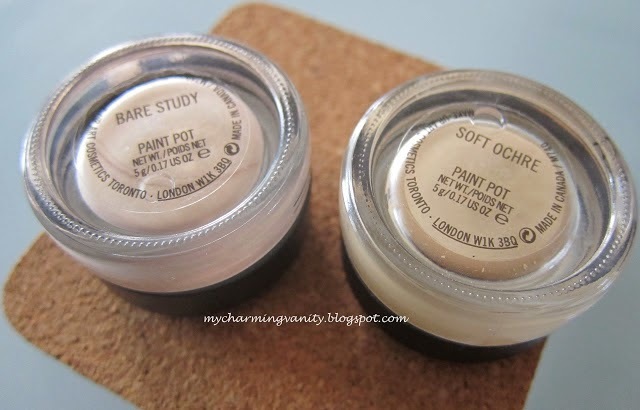 My very first encounter with MAC paint pot was when I just started exploring the World of Makeup (need to stress on this as I was obsessed with skin care as far as I can remember). 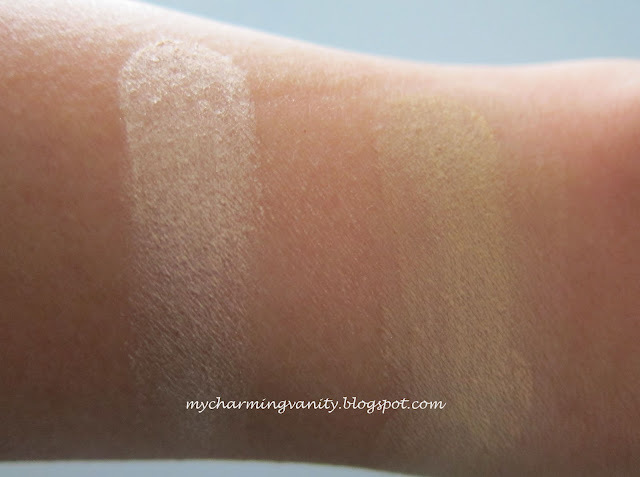 I wanted to look for something that not only acts as a base to enhance colors of eyeshadows but as a primer as well to keep my shadow longer lasting. After much debate of the available brands and products in the market, I decided to go with Mac's Soft Ochre especially due to its undertone which is more yellow base - translating to - perfect to correct the frequent redness on my lids. Adding further to my delight, the texture is soft and easy to work with...which fits into my usual 5-10 minutes makeup routine when I'm getting ready for work in half asleep mode each morning. I added Bare Study into my collection recently due to a sudden interest in brightening my lids especially since I noticed how tired I look most days. I've been really enjoying it so far and can see myself ticking Rubenesque of my list really soon. 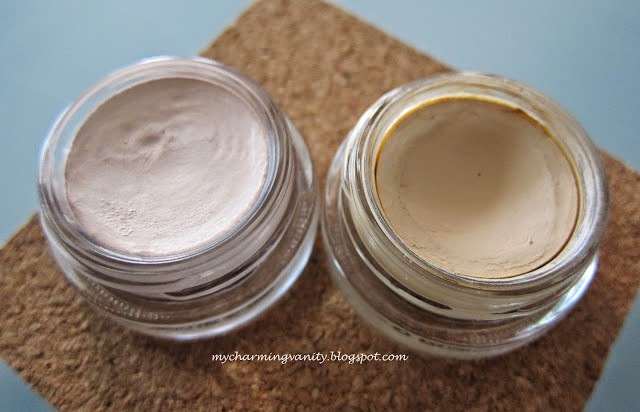 Are you a fan of Mac paint pots? havent tried this before!! Brightening eye lids ?? I think I need to cover my panda eyes with this!! Need to check this out! hi how much was the price of soft ochre in bkk?